Animated: No; Low-poly: Yes; Materials: Yes; Rigged: No; Textured: No; UV Layout: No; 3D File Formats Included: .3ds (multi format), .blend (blender), .fbx (multi format), .obj (multi format); Created In: blender; Geometry: Polygons; Poly Count: 1734. 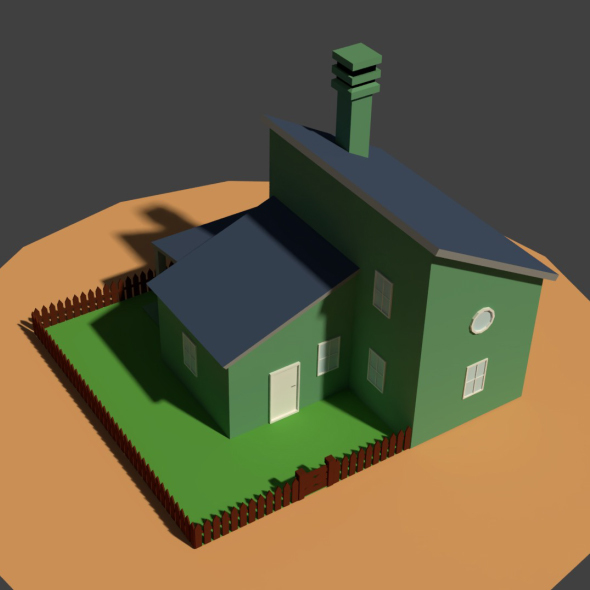 Second version of the low poly cartoony farm house model, half of it is surrounded with a wooden fence. Check out the wireframe preview images as well. Low Poly Farm Well; Low Poly Farm Cart; Low Poly Cowshed; Low Poly Farm House; Low Poly Greenhouse 2; Low Poly Greenhouse; Low Poly Cartoony Granary 2. Best stock graphics, design templates, vectors, PhotoShop templates, textures & 3D models from creative professional designers. Create 3DOcean Low Poly Farm House 2 20953716 style with PhotoShop, Illustrator, InDesign, 3DS Max, Maya or Cinema 4D. Full details of 3DOcean Low Poly Farm House 2 20953716 for digital design and education. 3DOcean Low Poly Farm House 2 20953716 desigen style information or anything related.